C1438. CHARLES MUNCH Cond. 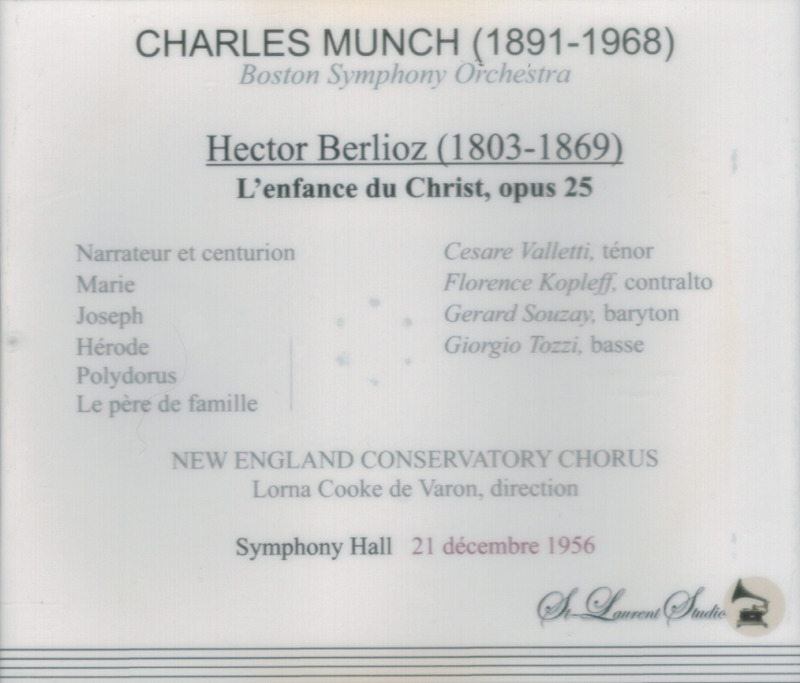 Boston S.O., w.Cesare Valletti, Florence Kopleff, Gérard Souzay & Giorgio Tozzi: L'ENFANCE DU CHRIST (Berlioz), Live Performance, 21 Dec., 1956 (Symphony Hall, Boston). (Canada) 2-St Laurent Studio YSL T-336. Transfers by Yves St Laurent. "Cesare Valletti was the most elegant and versatile tenore di grazia of his time; Italy has produced nothing like him since his short career ended. He started in the late '40s, came to the Met in 1953, and left in 1960 after a dispute with Rudolf Bing; [he] refused all offers to come back to the Met. Valletti sings fluently in Italian, French, German, Spanish, and English. He was regarded an exemplary French stylist in his time...."
"Active chiefly as a concert and oratorio soloist, [Kopleff] appeared frequently with the Robert Shaw Chorale and the Atlanta Symphony Orchestra under the direction of Robert Shaw. Kopleff appeared on several of the Chorale's popular LP recitals in the 1950s and '60s, including'The Stephen Foster Songbook', 'Irish Folk Songs' and 'The Great Choruses from MESSIAH'. 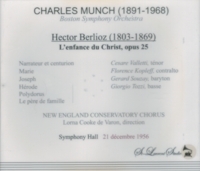 Other conductors with whom Kopleff worked and recorded included Charles Munch, Fritz Reiner and Maurice Abravanel." "Gérard Souzay, the French baritone who was one of the 20th century's finest interpreters of art songs, frequently appeared in opera - including New York City Opera and the Met - and was widely held to be the definitive Golaud in Debussy's PELLEAS ET MELISANDE. But it was in art song that he made his greatest mark, and not only in the songs of French composers. His more than 750 recordings include classic versions of Schumann, Schubert and Hugo Wolf. Mr. Souzay certainly did have a proper voice: not huge, but rich in color and tone, supple, sensual and lovely. 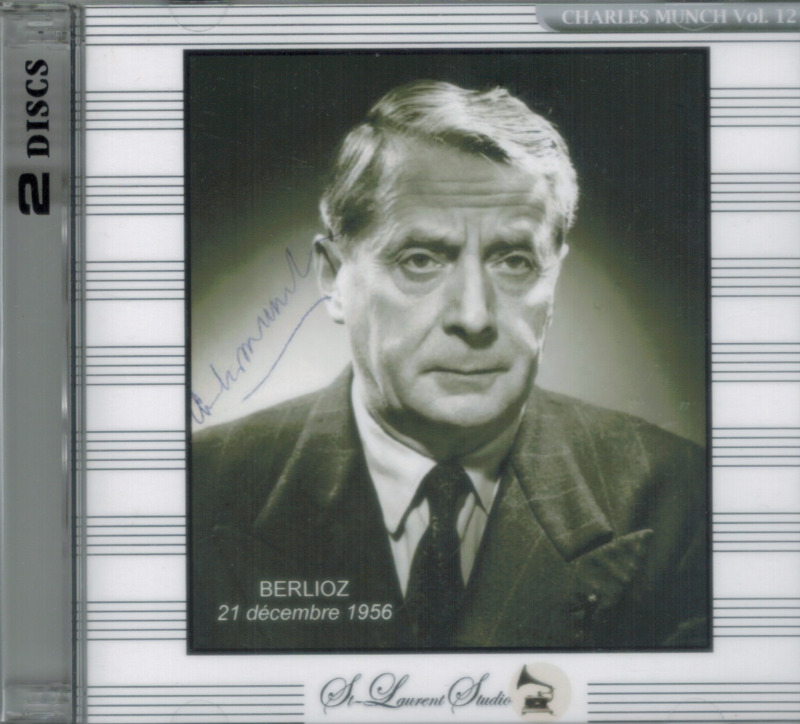 His reluctance to be stereotyped as merely a French singer was related to the fact that he tended to be eclipsed by his contemporary the German baritone and art-song specialist Dietrich Fischer-Dieskau. Many aficionados have always preferred Souzay. The difference between the two is crudely outlined in the notion that Fischer-Dieskau specialized in intellectual, text-driven, carefully planned performances, while Mr. Souzay was more of a sensualist, reacting viscerally to the music and allowing it to carry him in new directions in a given concert. Born in December 1918 as Gérard Tisserand, Mr. Souzay studied with Bernac, Claire Croiza and Vanni Marcoux at the Paris Conservatory, from 1940 to 1945. His opera career didn't begin until 1960, when he made his debut in Aix-en-Provence in Purcell's DIDO AND AENEAS, but by then he was already well established as a recitalist and recording artist. Famously loyal to his accompanists, he recorded only with two: Jacqueline Bonneau, and Dalton Baldwin, who was still a student when he met Mr. Souzay. The two began a long artistic and personal association. 'Simply, music means a lot to me and I feel very deeply what I sing', Mr. Souzay once said. 'Sometimes when I sing I shiver. But it's not because I love what I am doing. It's because music moves me to the bones'."